An epic journey ended on the banks of the Copper River earlier this month. 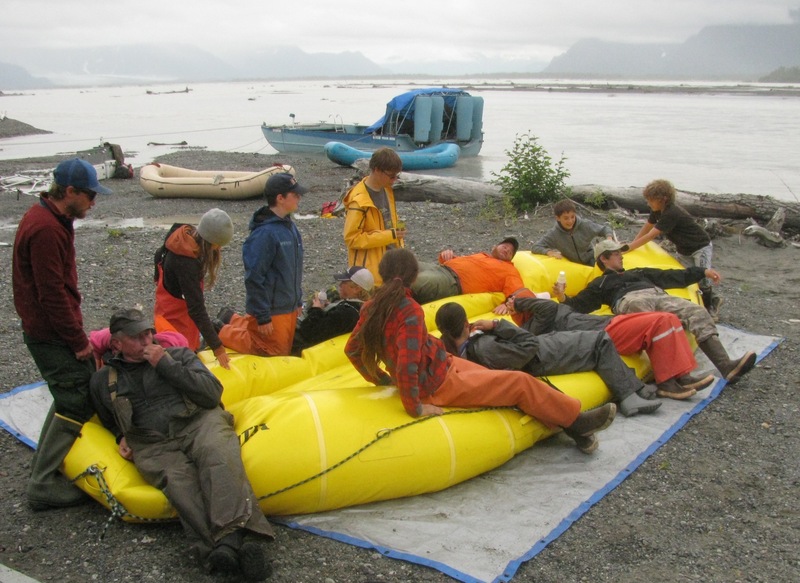 Thirteen high school students and ten adults completed a ten-day adventure from the northern reaches of the Copper River watershed down to the mouth of the river, near Cordova. 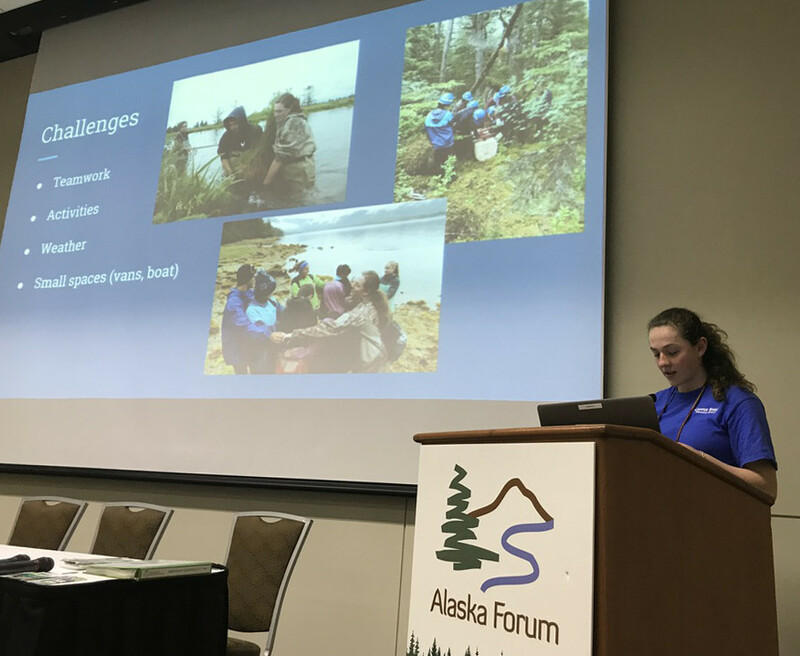 The Copper River Watershed Project orchestrates this once-in-a-lifetime opportunity through the Copper River Stewardship Program, and this year, two Prince William Sound Science Center staff joined the adventure. Science Education Coordinator, Lauren Bien, helped guide the education component through the trip’s entirety, while Education Specialist, Meadow Scott, led students on a plant-focused rain forest hike once they finally reached Cordova. 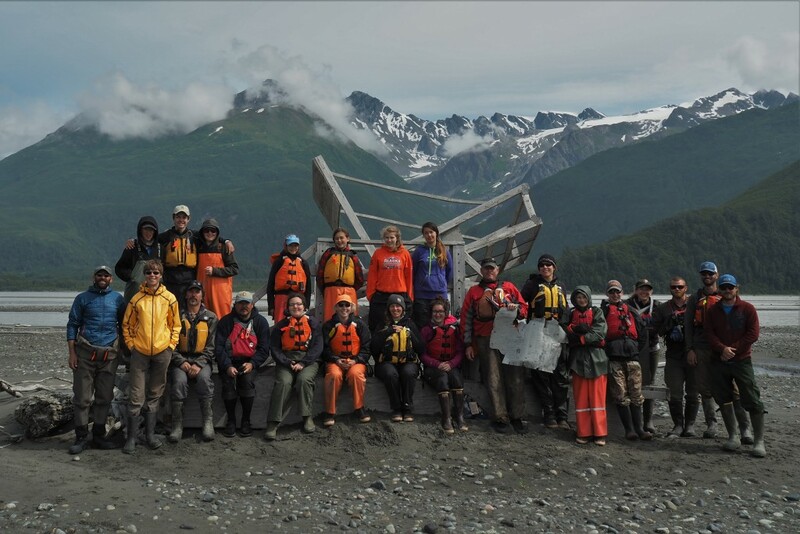 Before setting off on the 91-mile rafting trip from Chitina to Cordova, students toured the Gulkana Hatchery, were introduced to the Alyeska Pipeline, and learned about fish wheels and other subsistence fishing techniques. After setting off on their six-day rafting adventure, Morse describes how the students were amazed at the terrain changes—shifting away from places like Kenny Lake, which receives 9-10 inches of rain per year to Cordova, where similar rainfall can occur in a single day in September. Students conducted three plant surveys along their route, starting in the boreal forest, then on the banks of the Copper and finally in the temperate rainforest at the mouth of the river. 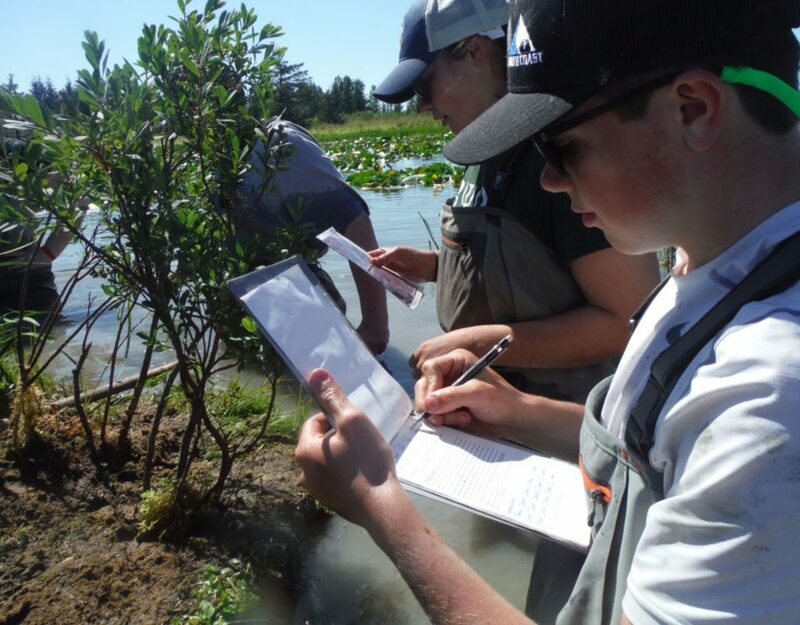 They also got their feet wet in a citizen science project called ‘Salmon Blitz,’ in which participants document salmon habitat along the Copper River watershed, with the goal of informing future resource management decisions. Upon reaching Cordova, the US Forest Service introduced students to Dusky Canada Goose nesting grounds on the Delta and the Alaska Department of Fish and Game showed students how and why they dissect fish ear bones, or otoliths, to learn more about their life histories. the Bureau of Land Management and the US Forest Service. 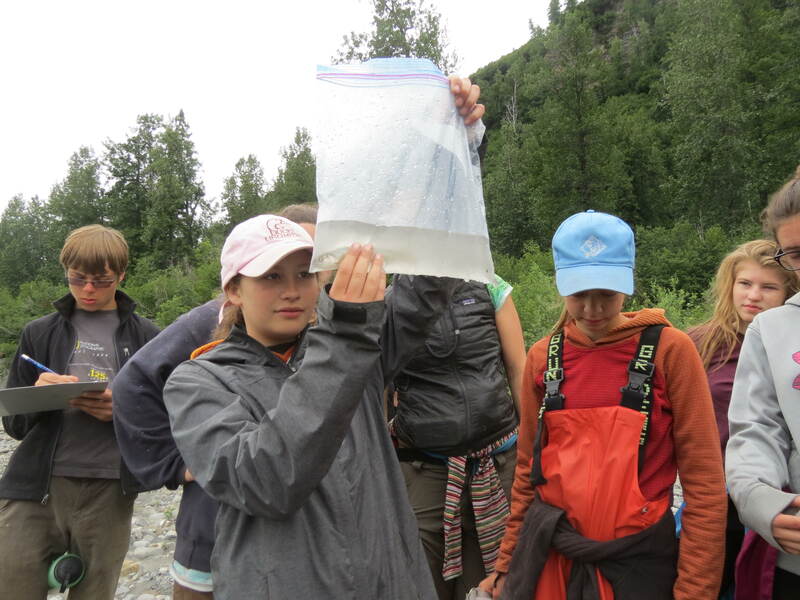 Morse also sends a big thank you to parents for facilitating their child’s participation and encourages the Cordova community to continue setting a good example for our youth by acting as good stewards of the Copper River watershed.